Your Southern VT or New Hampshire heating system is an important part of maintaining comfortable temperatures in your home or place of business throughout the winter. At HB Energy Solutions, we offer a number of residential and commercial heating options, including furnaces, boilers, wood and pellet stoves, heat pumps, and electric resistance heating systems. When you call HB Energy Solutions, our qualified VT & NH HVAC technicians can handle all your heating needs. We are close to home and even closer to our customers. Our customers are our priority, and we have been providing expert care to homeowners and business owners throughout Southern Vermont and New Hampshire for more than 20 years. We will gladly provide the same service for you, so call today! Contact us to schedule heating services today!. Ductless Heating Systems, and more! You’ve likely invested a lot in your heating system, and in Southern Vermont and New Hampshire a quality heating system is a must. Keep your heater running as effectively and efficiently as possible with our heating maintenance services. Our Heater Service Plan is available to customers who purchase their fuel oil and all heating system services from us during the term of the Plan and whose payments are in accordance with our payment and credit terms. The Service Plan becomes effective after our inspection and approval of your heating system and tank. While the heating systems of today are more efficient and reliable than ever before, heating is still a major expense in most homes. Those living in northern climates that experience more frequent and severe cold weather may spend up to two–thirds of their energy budget on heating alone. The cost itself illustrates the importance of understanding what kind of system will provide your family with affordable comfort. 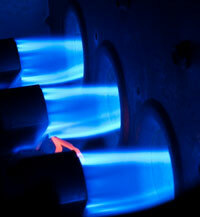 HB Energy Solutions offers a variety of heating systems to residents and business owners for year–round comfort. Our technicians have experience working with different brands and system types including furnaces, boilers, wood burning systems and more. Contact us today with any questions regarding our heating installation services or to request an estimate. Call Our VT & NH Heating Experts to Schedule Service Today! 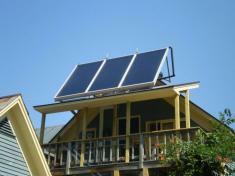 In considering what system is right for your needs, give HB Energy Solutions a call any time. We offer free estimates, and our heating experts can help you make an informed decision about which heating system makes the most sense for your home and your budget. We also feature quality brands, such as Buderus, Burnham, Peerless, and Bosch. Contact us today to schedule heating services in Southern Vermont and New Hampshire.